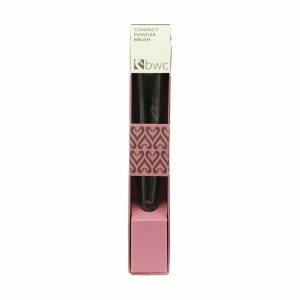 Specially shaped large synthetic blusher brush with wood handle designed for optimum application of bwc blushers, blends, shades and highlights. Beauty Without Cruelty Angled Blusher Brush is a specially shaped large synthetic blusher brush with wood handle designed for optimum application of bwc blushers, blends, shades and highlights. Beauty without Cruelty offers a full spectrum of fashion led colours. Their unique formulations carry a dedicated focus on enhancing a healthy and nourished skin, whist maintaining a strict adherence to our 100% cruelty free and vegan ethics. The Beauty without Cruelty swan logo encapsulates their mission being associated with the deities of healing waters and the sun. Known for its grace and beauty the swan is symbolic of our mission to deliver beauty by the intertwining of natural elements in our product offering. Beauty without Cruelty has a history that includes so much animal rights. After being founded officially in the UK in 1963 by BWC Charitable Trust, BWC began work on its cosmetics line. BWC’s goal was to create natural cosmetics that did not contain animal ingredients and had never been tested on animals. Katherine Long, a well known cosmetician and animal welfare activist, worked with Noel Gabriel to lead the organization in creating these products. Muriel Dowding offered her assistance to the organization after Long’s death in 1969 to stop it from being shut down. Later in 1978, Joseph Piccioni became the managing director of BWC in the UK. With his business expertise and dedication to animal rights, Piccioni helped lead BWC to launch its lines in the United States in 1989. Delivery FREE for all orders over £30. Orders under £30 incur a £3.95 postage cost. Delivery FREE for all orders over £150. Orders under £30 incur a £15.50 postage cost. If you are wishing to order from outside of the UK or Mainland Europe please contact us at Sales@GreenerBeauty.com for a shipping quote. *Next day delivery not available on products from Mr.Masey’s Emporium of Bears. 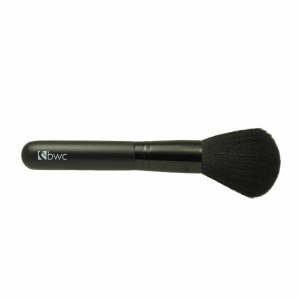 Large soft synthetic foundation brush with wood handle for the application and blending of bwc foundations for a professional finish. 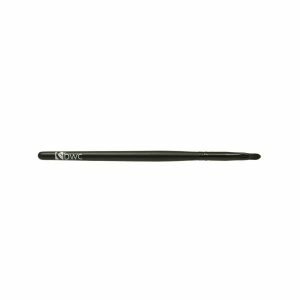 The PHB Ethical Beauty Brow Define Brush is the perfect multi-function brush to fill in and define your eyebrows with ease. The perfect tool to use with PHB Pressed Mineral Brow Powder! Soft animal free synthetic brush with wood handle ideal for mineral face powders. With a special flat cut for ease of blending and specially curled synthetic hair for optimum powder retention. 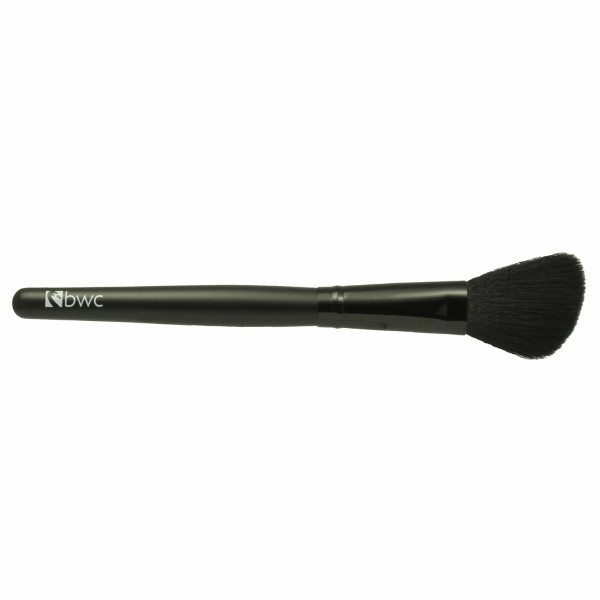 Soft shaped synthetic brush with wood handle for general application and blending of loose and pressed eye shadows. 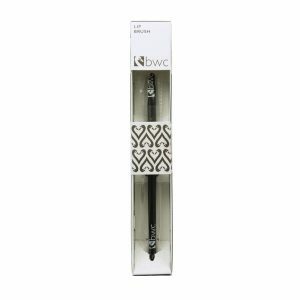 Fine firm shaped synthetic brush with wood handle ideal for blending all eye shadows and especially useful for special effects such as Smokey Eyes. Finely shaped synthetic brush with wood handle for professional application of lipstick. Helps to create an even finish and blends into creased areas. To be used with blush and mineral cooked powder. Specially shaped synthetic brush with wood handle for easy application and blending of pressed and loose eye shadow particularly for blending and highlighting the deep socket area above the eye. Large soft synthetic powder brush with wood handle sweeps face powder, loose or pressed, around the face, blending and smoothing creating a more even finish. 2 in 1, the shine-up powder is an illuminator and highlighter that adds radiance with its ability to capture light. Its powder texture makes it suitable for all skin types, including oily skin. It is applied after silk or powder foundation. The complexion base has to be applied before makeup and acts like a true moisturising and protective day cream. Now with new pump dispenser design. It ensures a stable and long lasting makeup throughout the day. Besides organic silica contained in bamboo hydrosol, organic sweet almond oil, jojoba and shea butter gives this make-up base a deep moisturising effect and a delicate freshness. ZAO Certified Organic Micellar Water gently cleanses makeup whilst toning down irritated and tight skin. The formula is based on melisse water, witch hazel and babassu oil, renowned for their beneficial effects on skin, leaving skin soft, purified and toned. A velvety texture with a light powdered finish for a sparkling and colourful effect. The bright colours can be used on their own or combined for an intense effect. Its specific texture allows the ZAO cream eyeshadow to transform into a corrector, lipstick or blush on the go, that's why we also call it Multi Touch. The Zao mascara "volume & sheathing" formula allows to thicken the lashes giving more volume to densify the eye. The specific shape of the brush gives to this mascara the sheathing effect that surrounds lashes by bending. ZAO Certified Organic Makeup Removing Oil gently removes impurities and makeup, including waterproof makeup. The oil is 100% natural, containing babassu oil, macadamia oil and calendula extract, all renowned for their nourishing and softening effects to skin. Especially amazing for dry and sensitive skin types and for those with super sensitive eyes, this organic cleansing oil is gentle but highly effective. Do you want to avoid shine on your face? Go for the powder compact. It sets, mattifies and balances the complexion for a smooth and silky finish. Note that all of our powders are talc-free.